Feeling Worn-Out After A Morning Workout? Here Are 3 Reasons Why. Have you ever worked out in the morning and felt like you had less energy later in the day? Exercise is supposed to increase your energy, so you might be confused or turned-off to morning workouts if they leave you feeling worn-out later in the morning or in the afternoon. In prior articles, I’ve written about the benefits of working out before work, and I’ve also written about how to do it– even if you’re not a morning person. In this article, you’ll learn three reasons why early-morning exercise could actually decrease your energy, and you’ll learn how to ensure that your next (or first) morning workout gives you more stamina, not less. Reason #1: You didn’t get enough quality sleep the night before. Some people cut back on sleep in order to work out early. However, this usually catches up with you and just leaves you feeling tired in the late morning or in the afternoon. Aim for at least 7-8 hours of quality sleep, and you’ll be more likely to feel energized after early-morning exercise. If it’s not possible to get at least seven hours of quality sleep before a morning workout, you are probably better off putting sleep first and working out later in the day. A number of the leaders that I interviewed for Work Stronger told me that they prioritize sleep over exercise- even though exercise is important to them as well. One example is Dr. Josh Riff, CEO at Onduo, a joint venture launched in fall 2016 between Sanofi and Verily Life Sciences (formerly Google Life Sciences). 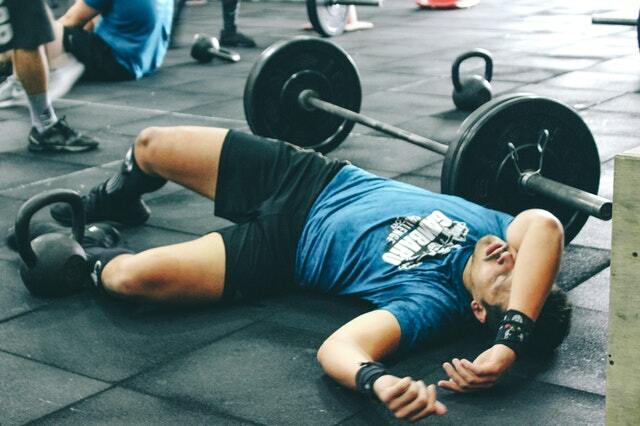 Reason #2: You worked out too hard and/or for too long. If some exercise is good for you, more is better, right? Well, not always. Think of your exercise intensity and duration like a bell curve. You can do too little, and you can also do too much. The key is figuring out the right exercise volume (duration, intensity, and frequency) that will provide you with the greatest energy boost. I refer to this as your High Performance Sweet Spot. How hard and how long you should work out on a given day depends on several factors, including your goals, your current fitness level, how hard/long you worked out the days before, and how hard/long you plan to work out in the days to come. How well-rested you are (see above) and how well-fueled you are (see below) are also factors to keep in mind. In general, 30-40 minutes of focused exercise (including a warm-up and cool down) is a good duration to target. Beginners will probably want to keep the intensity lower and stick to 30 minutes or less. If you are fitter, you can probably train harder or longer- if you want. Just keep in mind there is a point when training harder/longer becomes counter-productive for anyone, no matter how fit you are. Reason #3: You didn’t fuel yourself properly. The harder and longer your morning workout is, the more important your fueling strategy becomes. Many people put a lot of time and effort into morning workouts but give little or no thought to what they eat and drink before and after. This a huge mistake that can leave you feeling worn-out or cranky all day long. Whether or not you should fuel-up before a morning workout is somewhat of a personal preference, so experiment and find out what works best for you. You might prefer to fuel up before and after (my preference), or you might prefer to exercise on an empty stomach and only fuel up afterwards. If you choose the former and time is limited, a smaller and/or liquid meal before your workout is a good option. Either way, proper post-workout nutrition is absolutely essential. If you skip breakfast or scarf down a typical, low-value breakfast (i.e. muffins, bagels, processed cereals, granola bars, sugary drinks, etc. ), your energy can really take a hit later in the day. The best breakfasts provide a nutrient-dense balance of quality protein, fibrous carbs, healthy fats, and vegetables. Better fuel will provide steadier, longer-lasting energy. It will also help your brain function more effectively. Proper hydration is often overlooked, but it’s also very important- before, during, and after a morning workout. If you work out in the morning, be sure to drink at least 16-20 ounces of water beforehand, and drink more water during and after your workout, too. Water makes up about 60 percent of your body weight. You need a lot of it to feel and perform your best and to support a number of essential functions. Dehydration can lead to cramping, nausea, headaches, fatigue, irritability, weaker athletic performance, and reduced mental capacity. Note: It’s normal to feel a bit depleted immediately after a workout- even if you are well-rested and well-fueled. However, you should feel fresh again once you re-fuel and re-hydrate. As discussed here, morning workouts provide tremendous benefits, and they should increase, not decrease, your energy later in the day. If you feel worn-out after exercising, it’s probably because you didn’t get enough sleep, because you worked out too hard or too long, or because you didn’t fuel yourself properly. Get enough sleep, exercise at the right volume for you, and fuel yourself properly, and your next (or first) morning workout will set you up for a stronger, more energetic, and more productive day. P.S. Have you taken the habits assessment at StrongerHabits.com?